Raw vegan fudgey, rich and indulgent truffles. -In a blender combine the dates, melted coconut oil and coconut flour adding a splash of milk to help create a smoother texture. -Roll the mixture into truffles using around half a tablespoon of mixture per truffle. 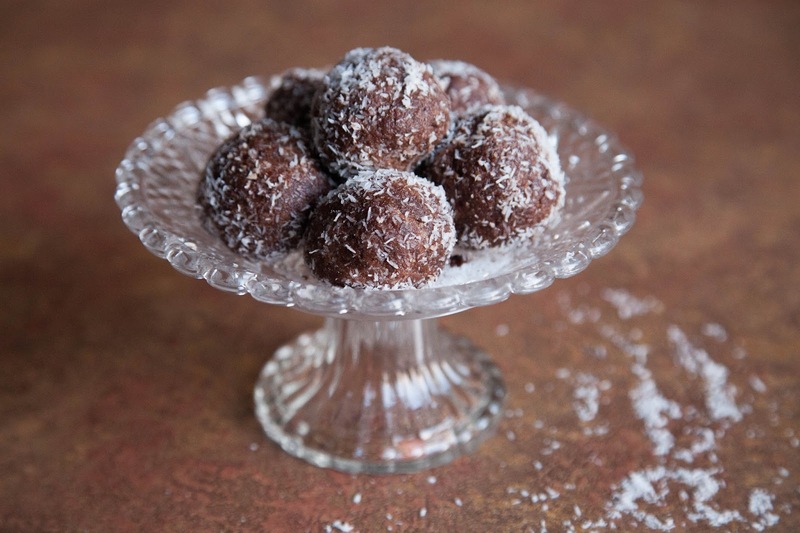 -To decorate roll each truffle in a little desiccated coconut before storing in the fridge.